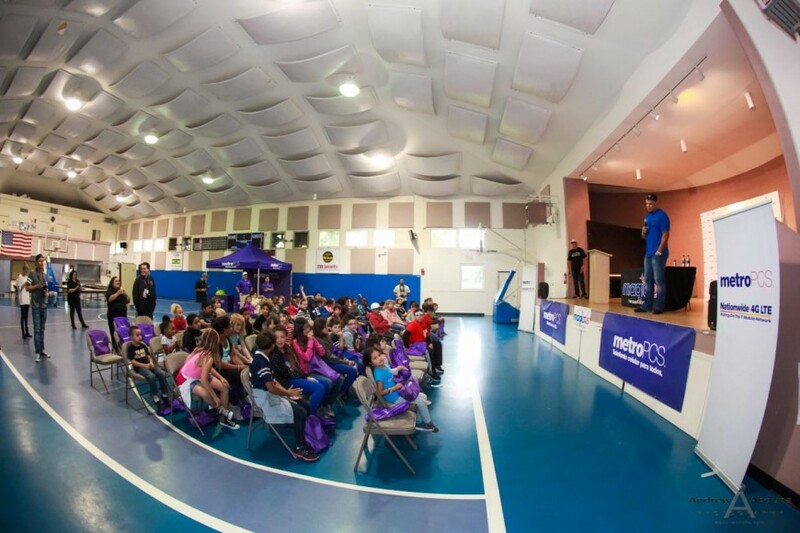 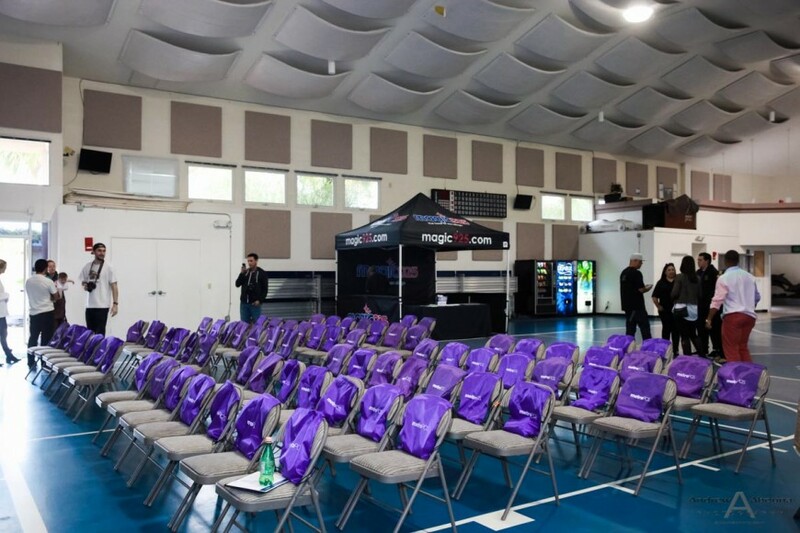 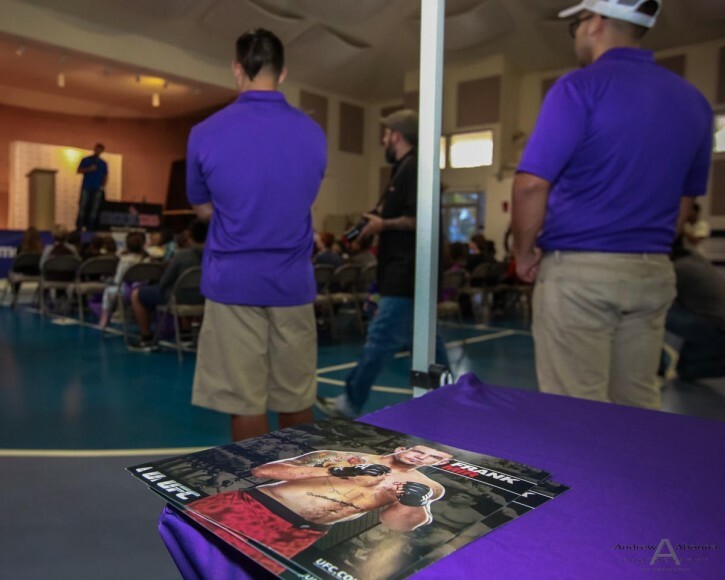 MetroPCS, a prepaid wireless service provider, recently hosted a community outreach event, together two-time UFC heavyweight champ Frank Mir and Xavier the X Man (DJ on Magic 92.5) with 100 students at the Boys and Girls Club of South County, in Imperial Beach, California. 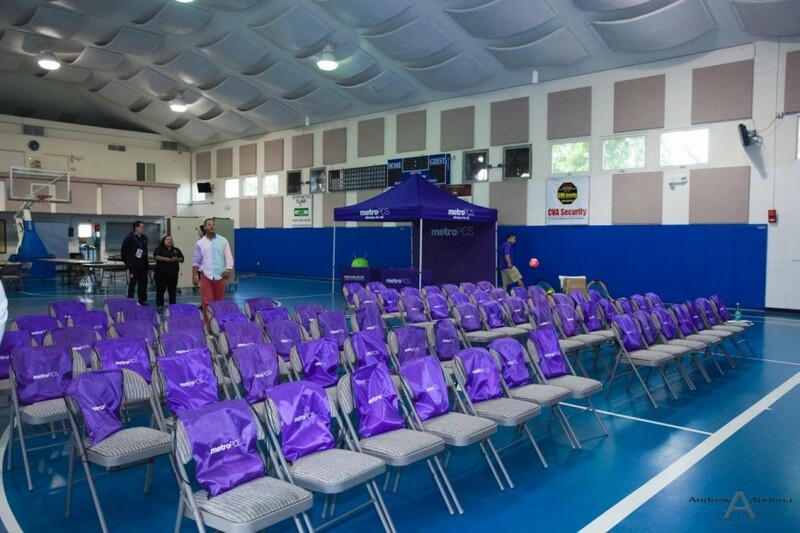 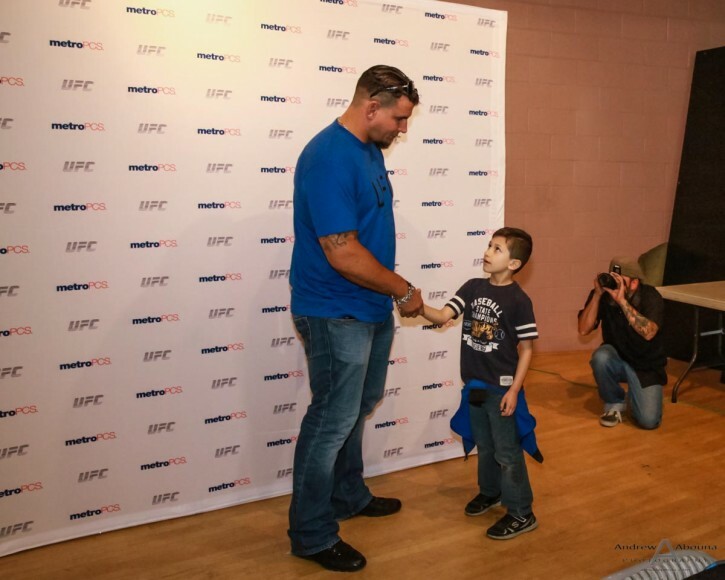 I was on hand as MetroPCS’s photographer to capture the thrilled reaction of the students, aged 14-17, as they met and posed with Frank Mir, received autograph photos of the UFC champ, and listened to his well-delivered presentation. 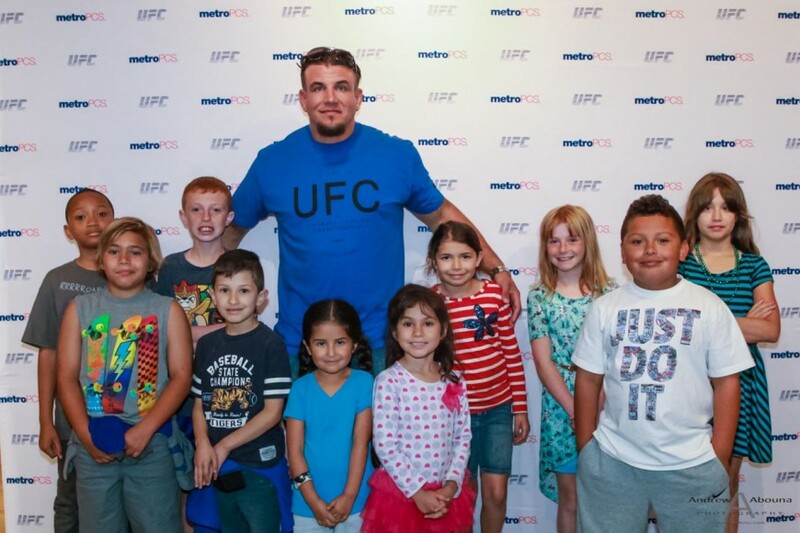 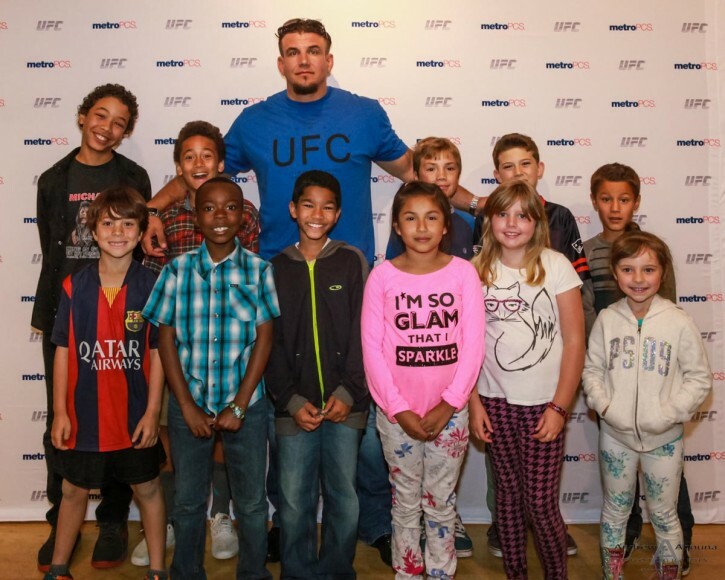 The students met UFC champ Frank Mir in small groups first, when I photographed them in front of a step and repeat for the event. 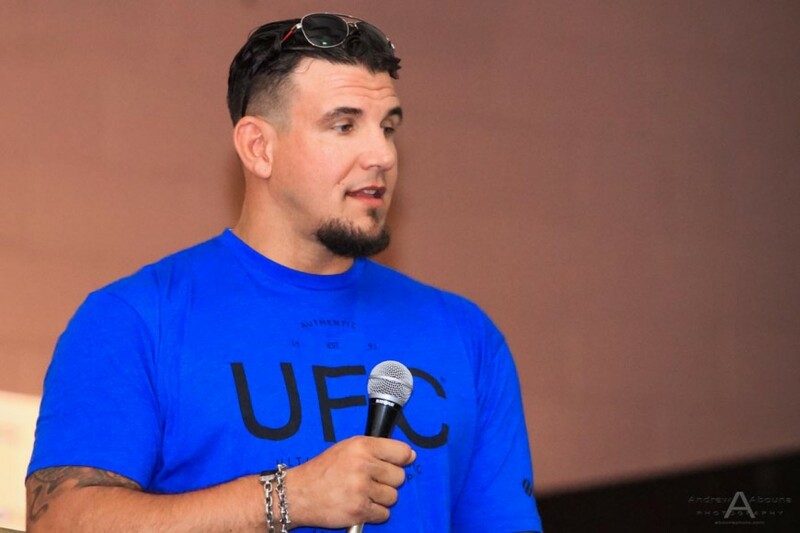 Following posed event photography, the students listened to champ Frank Mir talk eloquently about not being afraid to face and learn from difficulties in life. 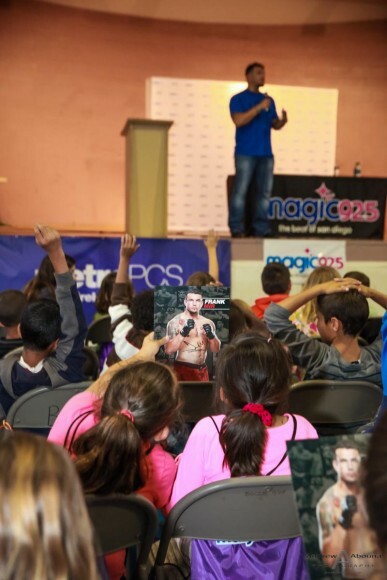 The students listened intently to the presentation, and afterwards Frank Mir answered a couple dozen well-thought questions from his audience. 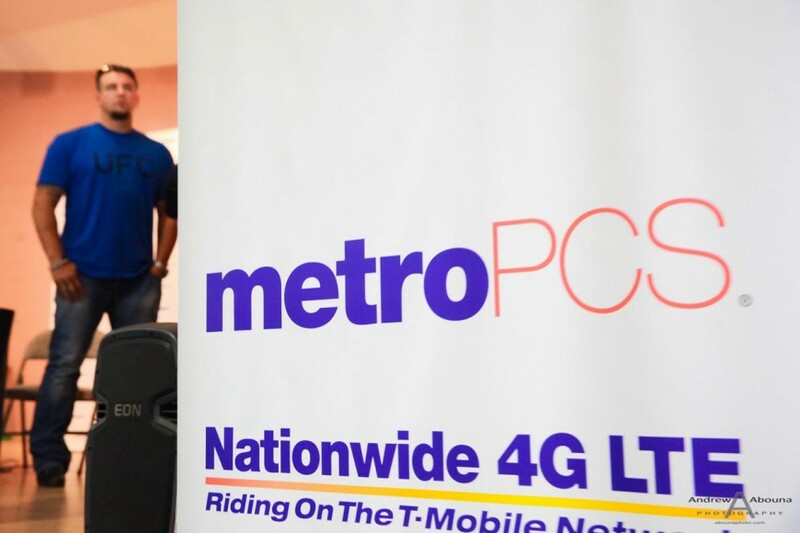 MetroPCS DJ endorser Xavier the X Man from Man from Magic 92.5 helped host the event, however, this community outreach event is part of MetroPCS’s Athletes for Education (AFE). 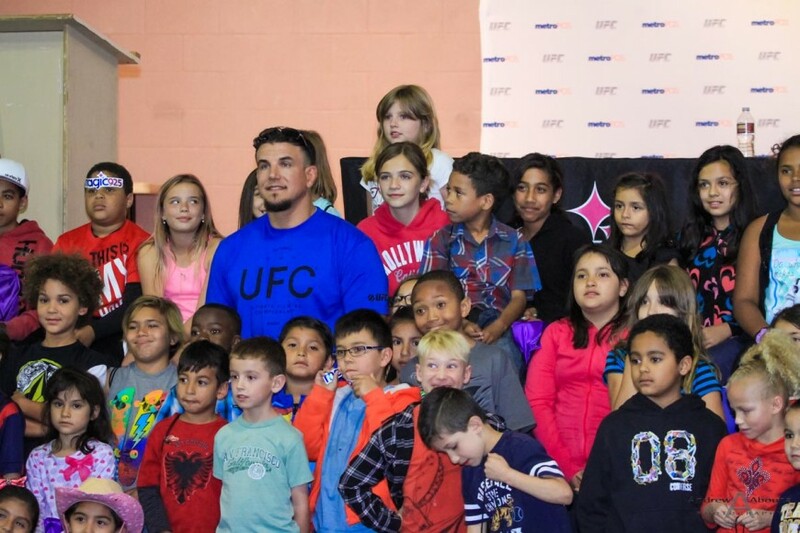 AFE is a 501 (c) (3) non-profit organization comprised of current professional athletes like Frank Mir, former athletes, entertainers, business and community leaders developed to help youth help themselves by providing support and mentorship. 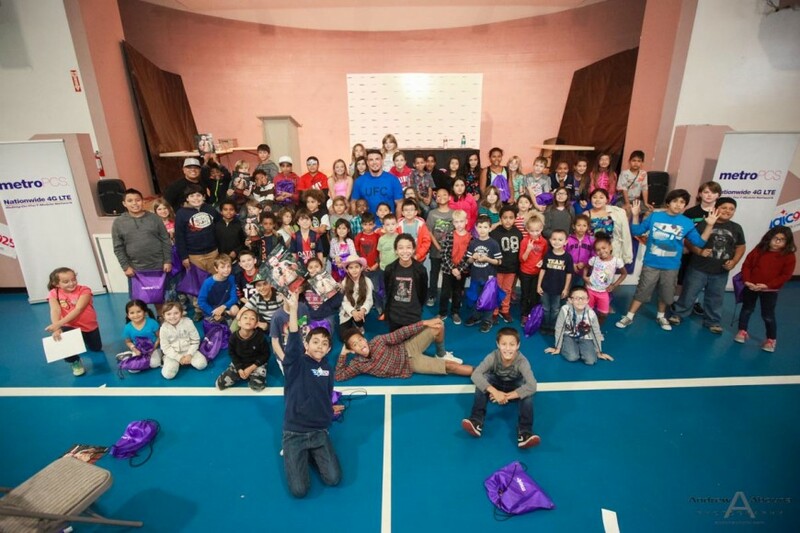 AFE encourages youth to reach life goals by developing self-confidence, self-esteem, teamwork, and discipline. 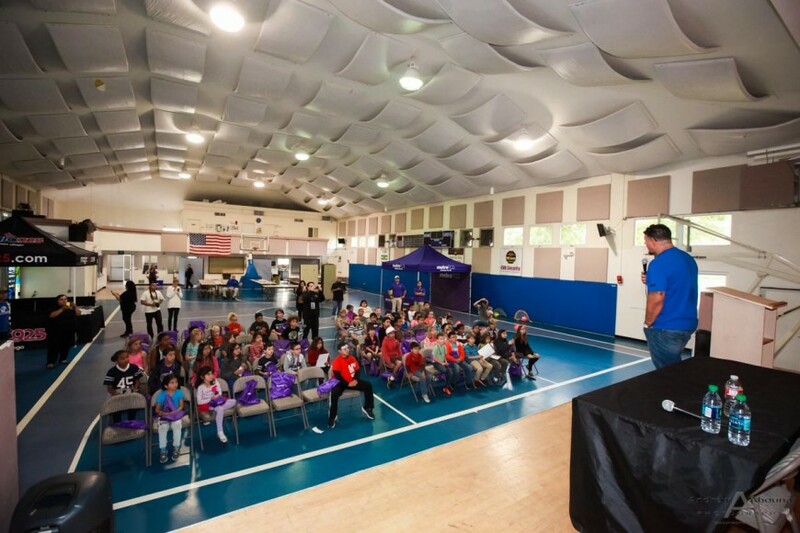 Mentorship programs and events support and reward at-risk youth from disadvantaged areas, with the goal of establishing lasting life skills, that act as an investment in our youth and community. 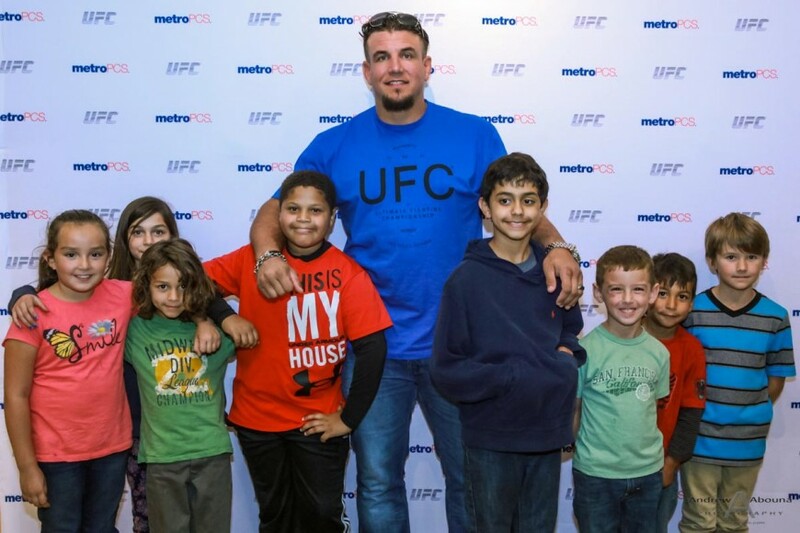 Featured on this page are some of my favorite photos from the MetroPCS shoot with Frank Mir. 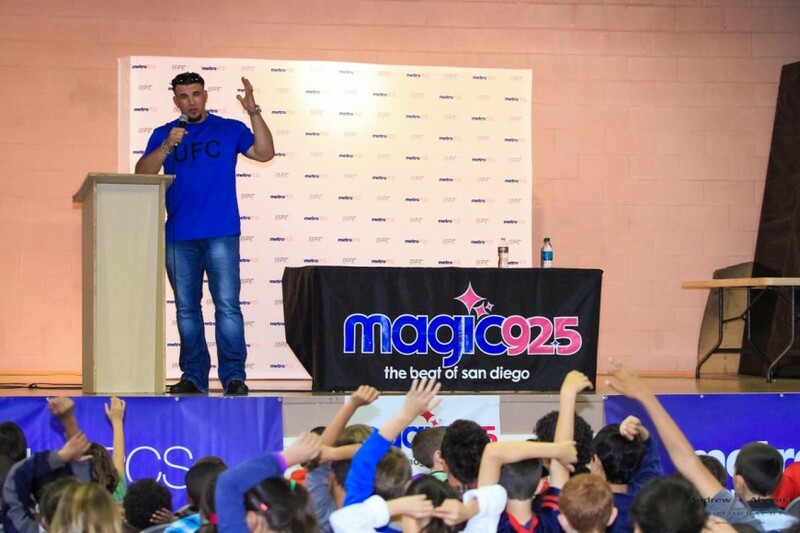 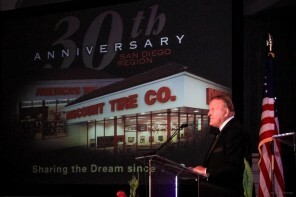 The complete gallery from the event photography can be seen on my San Diego Event Photographer Client Galleries page (password required). 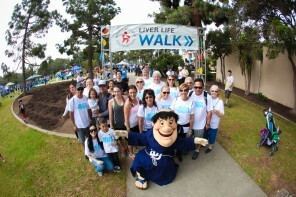 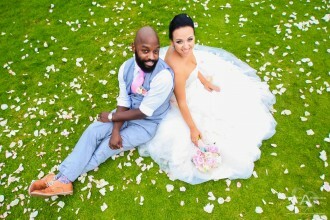 For more information about event photography, please contact me.